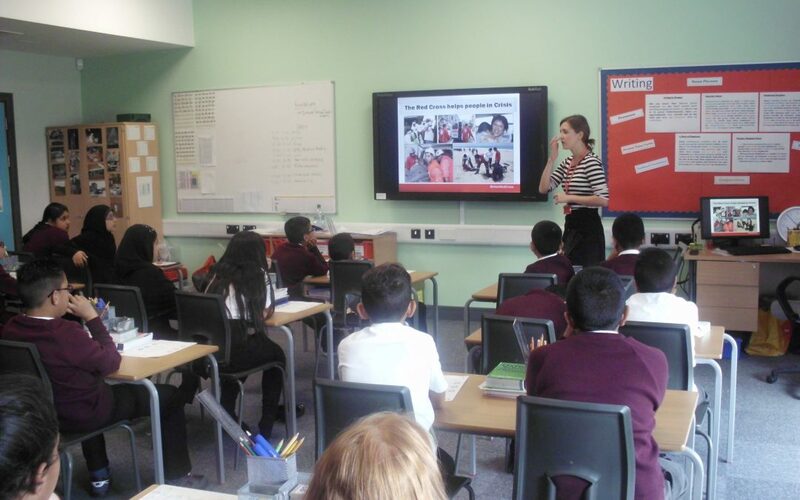 On Wednesday 21 September, Y6 took part in a British Red Cross STIGMA workshop which taught them all about migration and looked at reasons why people might have to leave their country. The workshop was led by Beth and she started by informing the children of how the Red Cross organisation helps people across the world. The pupils were amazed to discover that the British Red Cross works in 190 out of 200 countries across the globe. During the workshop pupils discussed the many reasons why people might have to leave their country and some of the more positive reasons included: wanting to be near family, getting a new job, getting married, wanting to explore the world. However, other reasons why people may have to move that were less positive were: lack of medical facilities, poor educational opportunities, the effects of war, natural disasters leading to homes being destroyed and being persecuted for their religious beliefs. Beth then showed the children an image with different items on it and in pairs they had to decide that if they had to leave their home quickly, what 3 items they would take with them. Whilst at first this seemed an easy job to do, during their discussions children began to realise how difficult it would be if they could only take limited items with them. Following this the students then completed an activity which looked at the different labels given to people who move to another country which were: Economic Migrant, Refugee, Asylum Seeker and Migrant and what it means to have this label. Beth explained that some people enter a country as a refugee but then become an asylum seeker, but this can take anywhere between one and seven years to happen. Children were surprised to learn the top three countries where most refugees come from are: Syria (4.2 million), Afghanistan (2.6 million) and Somalia (1.1 million) and the top 3 countries hosting refugees are: Turkey (1.84 million), Pakistan (1.5 million) and Lebanon (1.2 million). Throughout the afternoon the children learnt lots about the reasons for migration and are looking forward to discussing some of the issues the workshop introduced in their Philosophy for Children sessions in forthcoming weeks.